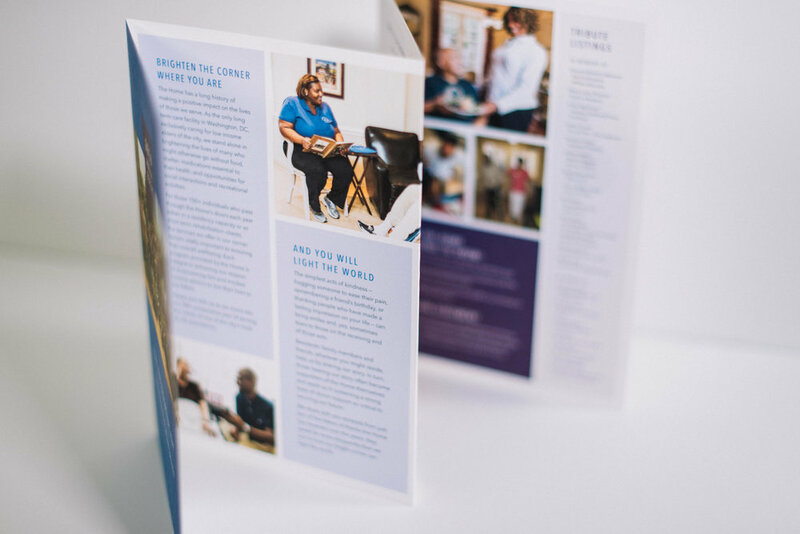 This Annual Report features a photo of the organization's staff on the cover of an 8 panel accordion-fold document. 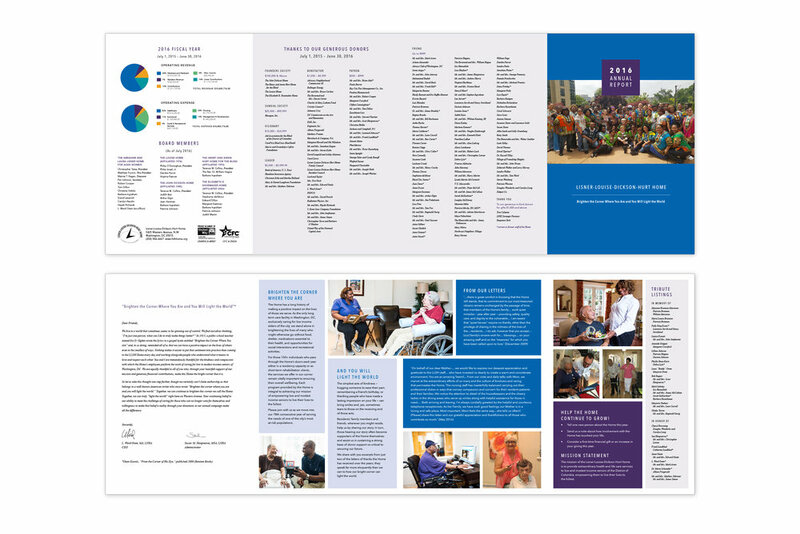 The interior features all of the regular components of an annual report, just condensed into a nifty format! We even managed to fit at-a-glance financials and a list of tributes. 4-color process printed on uncoated stock. The mission of this assisted living home is to provide extraordinary health and life care services to low and modest income seniors of the District of Columbia, empowering them to live their lives to the fullest. Visit LLDH Home's Website. Art Direction by Kristen Buck at Comella Design Group.